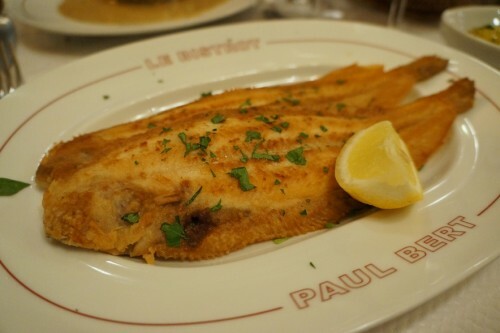 While researching restaurants for my Paris trip, Bistrot Paul Bert came up many times as a must-visit classic French bistro. Famous for having one of the best steak frites in town, we made the trek to the 11th arrondissement for dinner. 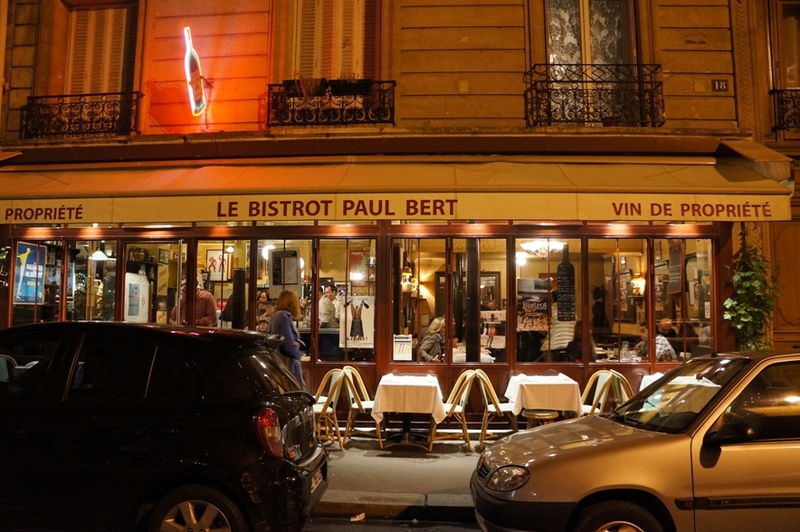 It’s a popular restaurant with both locals and tourists (especially since it appeared in Anthony Bourdain’s “The Layover”), so reservations are recommended. 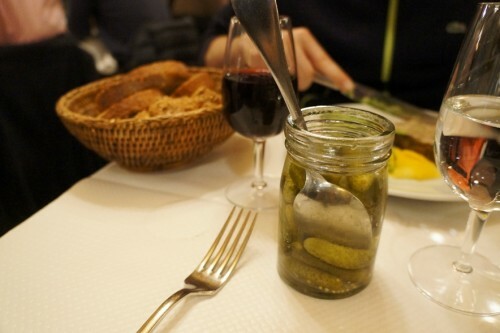 I called a few days in advance and the only option was dining at 9:30pm which seems to be the norm in France. 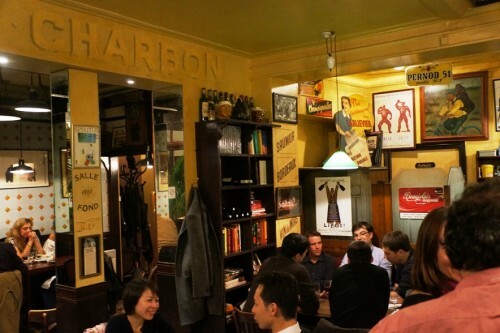 With mirrored walls and eclectic décor, the atmosphere is loud, lively and unpretentious. Menus are written on chalkboards which are brought to your table. They’re all in French but our server happily translated it all for us. 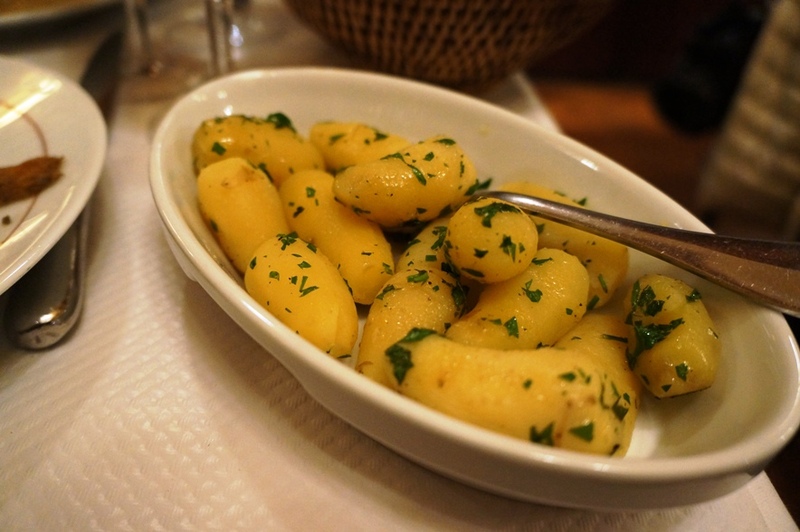 For 36€, you can order three courses – a starter, main and cheese or dessert. For the starter and main courses, there are about 6-7 dishes each to choose from. I should add that Bistrot Paul Bert has a fantastic wine list. We weren’t quite sure which red wine to go with and our server recommended a nice one which was reasonably priced. They’re happy to help! 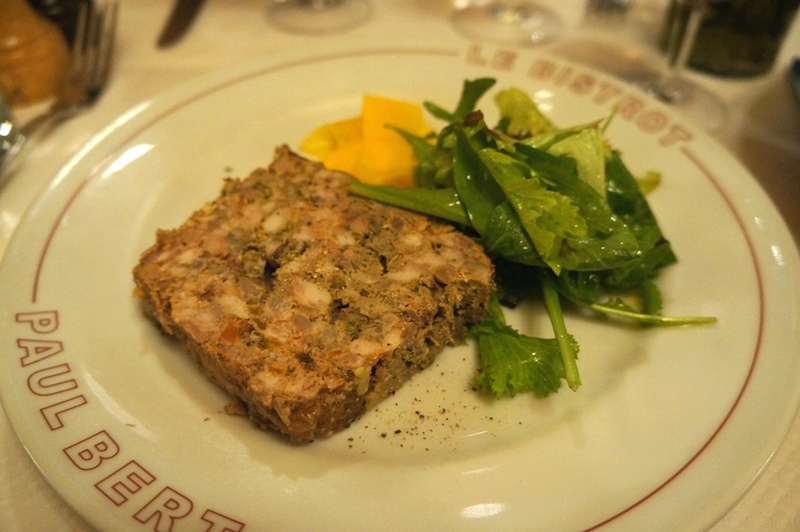 We decided to order one three-course meal and started with the Terrine de Campagne Maison. It came with one large and chunky slab. 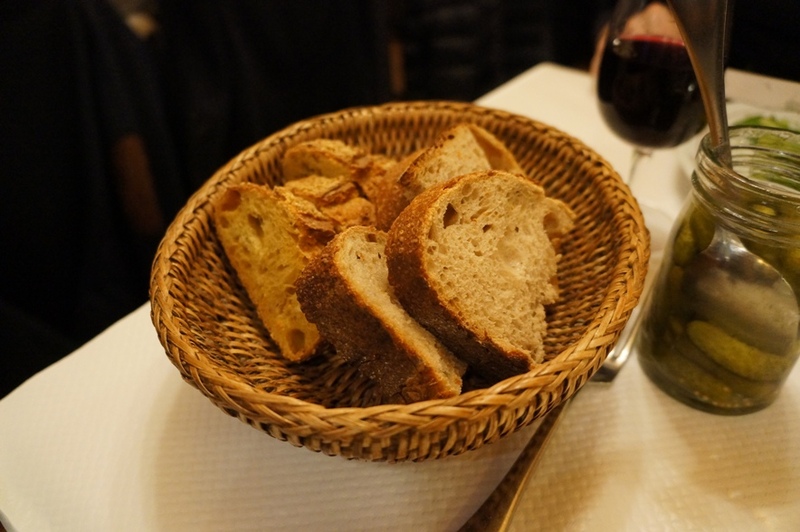 Eaten with a bit of bread and a glass of wine, it was a great way to start off the meal. 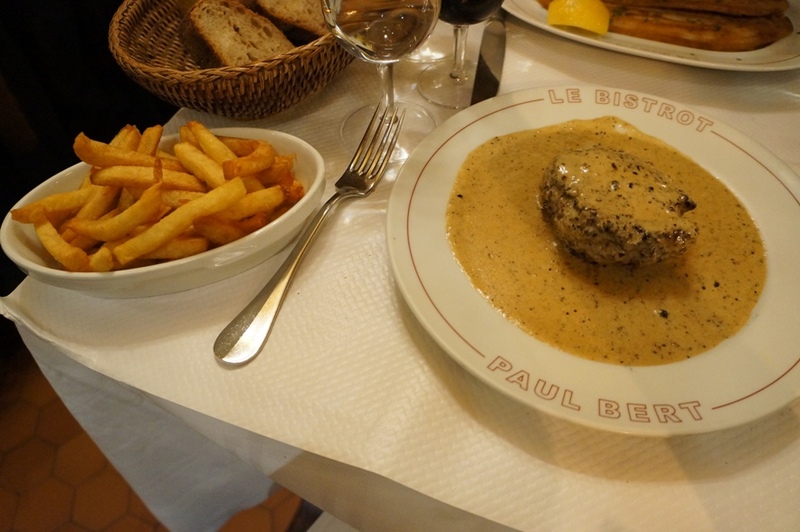 I had read on more than one occasion that Bistrot Paul Bert is home to the best Steak au Poivre in Paris. Unfortunately this wasn’t part of the 3-course menu and had to be ordered separately for 36€. That’s about $50 Canadian so yes, it was on the pricey side but I was on vacation…and if it’s as good as everyone says it is, then it’d be worth it! The plate arrived with a piece of meat covered in a rich, peppery sauce which really was truly delicious and worth all the hype. 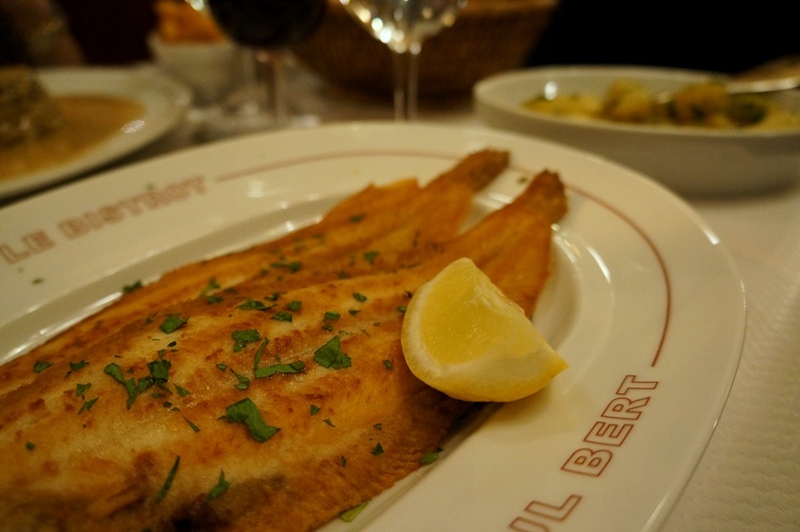 When in France, be careful when requesting how you want your meat – they interpret rare as blue rare. I asked for medium rare and it was rare by North American standards. 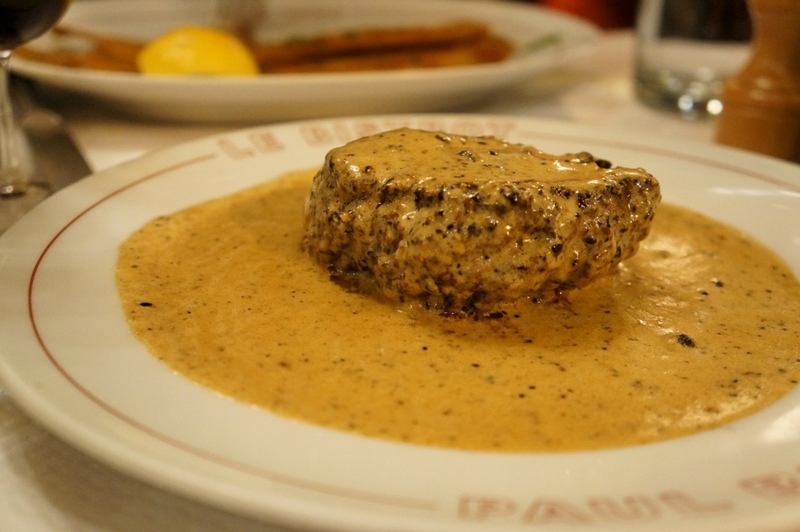 The steak au poivre came with a huge platter of addictive frites. 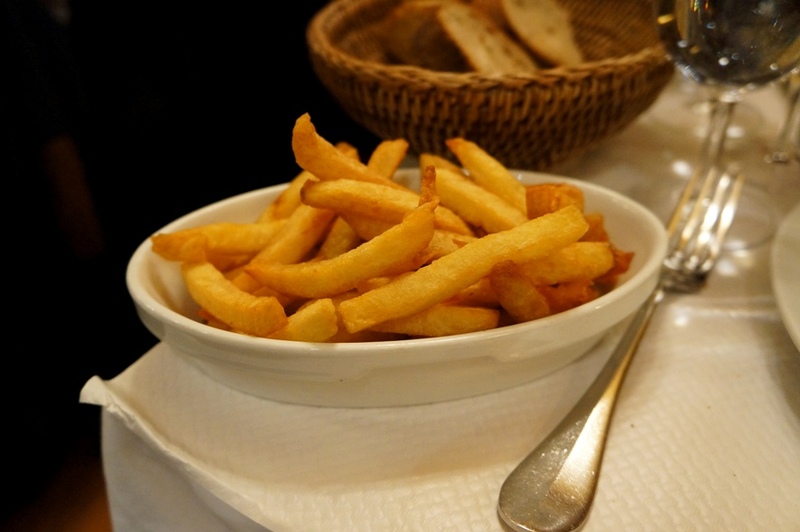 I’m not usually a fan of thicker frites but these were perfection – a lovely golden brown on the outside, perfectly crisp and fluffy in the middle. If you have a bit of the pepper sauce leftover, I recommend dipping the frites in them. Delish! Flavour-wise, it wasn’t anything to write home about either. It’s definitely not something I’d order again. 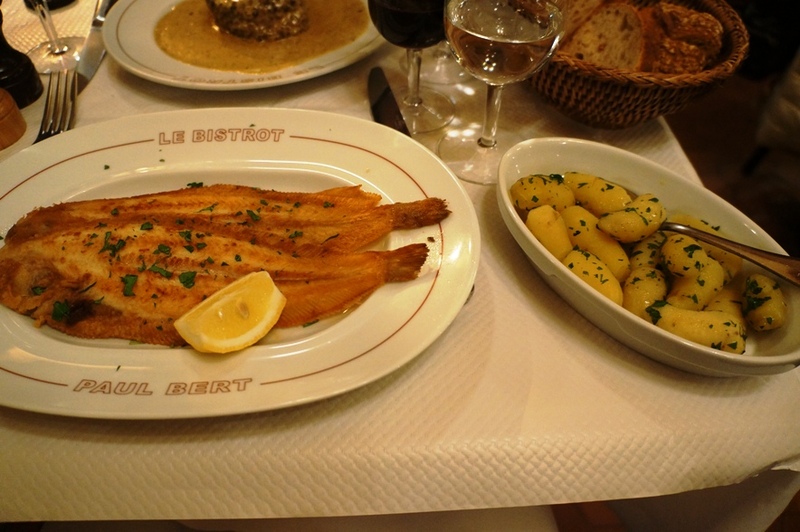 Frankly, I enjoyed the bowl of potatoes it came with more than the fish itself. 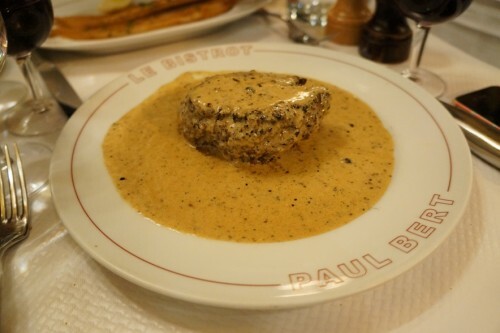 There are around five desserts to choose from including French classics like the soufflé and Paris-Brest. We decided to go with the Ile Flottante aux Pralines Roses, a famous French dessert. Apparently Bistrot Paul Bert does one of the best Ile Flottante’s so we had to give it a try, especially given that souffle’s and Paris-Brest’s are available at many other restaurants in the city. 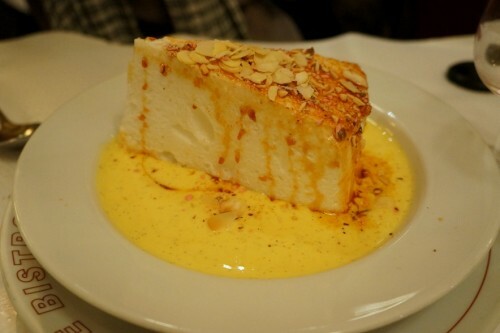 The Ile Flottante consisted of a large triangular slice of poached meringue floating on crème anglaise. Since it had been poached, the meringue tasted like a very soft and melty marshmallow. I thought it needed a bit more texture and personally, the taste of it all just wasn’t really my cup of tea. But like I said, I’ve heard that they make one of the best in the city, so if you’re a fan, it’s a must-order here. Overall, I enjoyed my experience at Bistrot Paul Bert. 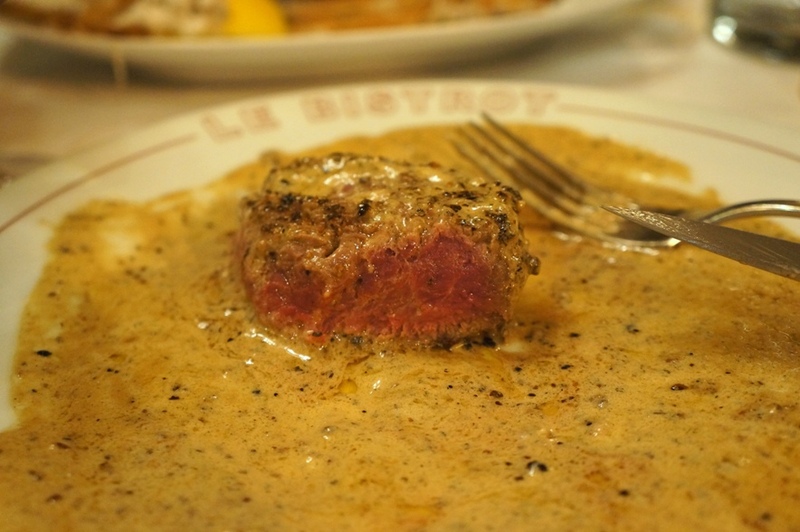 Their steak au poivre certainly lived up to all the hype. Don’t stray too far from their steak frites and you’ll have a fantastic time!